Call center QA, or quality assurance, is a crucial tool for business to ensure that customers are receiving appropriate levels of service. A business cannot evaluate and control customer experience without fully understanding and managing what is happening with customer service calls, emails, and chats. Depending on the size and needs of the organization, businesses may take several different approaches to call center QA. 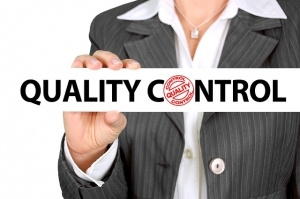 A small business, for example, may have no formalized quality assurance process. On the other hand, large organizations almost always utilize sophisticated call center monitoring software to measure, track, and analyze customer interactions and call center quality. Call center quality assurance contributes directly to a company’s bottom line- it influences reputation, customer satisfaction, and business retention. Management should view improving call center QA as an opportunity to directly impact profitability. Call center quality assurance can be very difficult, or even impossible, to manage without a software solution. A call center QA software can track customer interactions in real time, across platforms including phone, chat, and email. The software will gather, standardize, and analyze data from these interactions. This data can then be disseminated throughout the organization. It can be used to give managers a clear picture of where problems exist that need to be remedied, driving the creation of initiatives to improve service. It can also be tracked over time to provide senior leadership with a metric for improvement and growth. Simply put, the collection and distillation of customer service quality data provides an organization with a roadmap for enhancement of customer service- which directly impacts customer retention and bottom line growth. There are many different approaches a business can take towards managing call center quality assurance. Some companies utilize “made-in-house” software- which may lack sophistication and support, or struggle to keep up with the needs of a growing business. Other companies might try an “off-the-shelf” approach, by buying a one size fits all software package and trying to shoehorn it into their operations. Evaluate Quality, founded by Sage Advantage in Scottsdale AZ, is a call center monitoring software solution that is both advanced enough to be used by the largest organizations and customizable enough to provide value and benefits to smaller organizations with specific needs. It is a SAAS (software as a service) solution, meaning that there is no hardware or software to purchase. The ability to tailor Evaluate Quality to your organization’s specific needs can create incredible value- ensuring that your company is only paying for the service that it truly benefits from. Schedule a demonstration today to learn more about Evaluate Quality and why it can be a solution to your company’s call center quality assurance management needs.